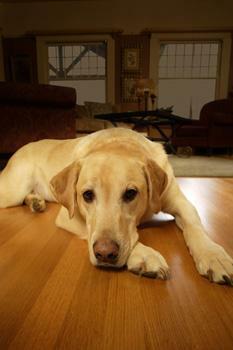 Are your pets leaving unsightly stains behind on your carpets and upholsteries in the Birmingham, AL area? With professional upholstery and carpet cleaning from Heaven’s Best of Birmingham, you can reveal and preserve the beauty of your furniture. Not only will your clean upholstery brighten the room and extend the life of your furniture or upholstery, but you will also be able to rest easy in the comfort of your spotless fabrics knowing that the trained technicians at Heaven’s Best can take care of those pets stains once and for all. Only the highly trained professional service staff that we employ, utilizing the Heaven’s Best cleaning process, will have your upholstery and furniture sparkling clean, as well as dry and ready for use, in just 1 hour! We utilize a cleaning process that uses a low moisture process rather than several hours and uses much less water avoiding the destruction of your carpet fibers. The important thing to note is your carpets trap soils, pollutants, gases, and animal dander out of the air. Pets leave behind stains that need your attention too. Your carpets and upholsteries are just like your HVAC filter; it needs to be cleaned to maintain your family’s health. There are many products you can try in your home such as baking soda to help with the odors and hydrogen peroxide to treat the stains but every year, we recommend a professional treatment to take care of those problem areas and the things you can’t see with the naked eye. So give us a call today at 205-618-9150 and let the professionals at Heaven’s Best Carpet Cleaning handle all of your pet stain removals in the Birmingham and surrounding areas. Let us put our trained technicians to work to give you the desired results and get your carpets looking like the day they were installed.